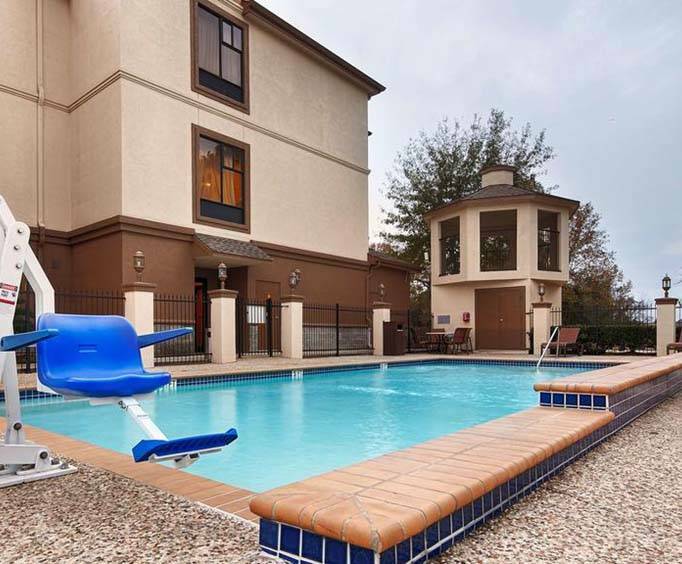 Guests can enjoy taking a dip in the outdoor pool. There is a fitness room that is open 24 hours a day. A television is located in the lobby. Guests can also play on the pool table that is near the lobby area. A full breakfast is offered each morning. 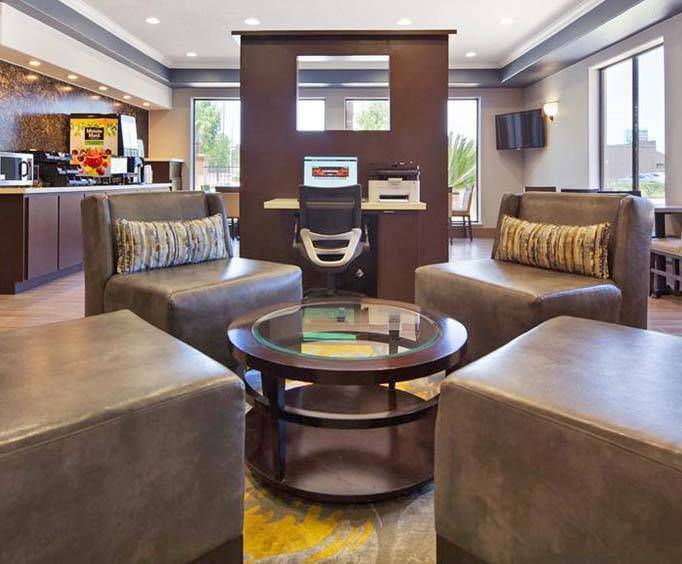 The business center is open 24 hours a day, and guests have access to the fax and copy service. Splashtown is less than three miles from the hotel. Guests will arrive at the hotel to drive under an awning located in front of the lobby door. When using the business center, there is an office chair that guests can sit in while typing at a large desk. The desk of the lobby area is made of a natural wood. A large dining area awaits guests in the morning, and there are other meals served through the day. 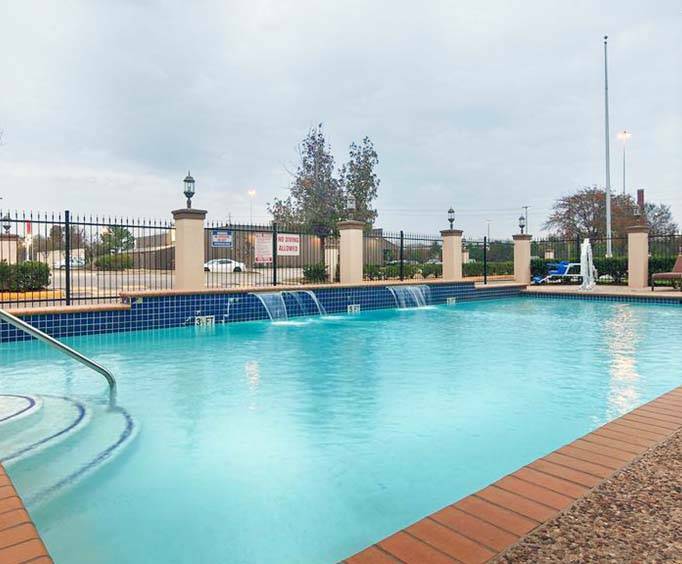 The outdoor pool is surrounded by a fence and is located in the back of the hotel. Walking through the rooms, guests will see warm colors and modern decorations on the walls. There are 50 rooms in the hotel. A microwave and small refrigerator are in each room. Some of the rooms are larger and have a separate kitchen area. There are shower and tub combinations in the bathroom, and designer toiletries are offered for guests to use. Complimentary high-speed Internet is available. The Greenspoint Mall is within five miles of the hotel.